With micro EDM technology being used in industries including aerospace, robotics, nuclear, medical, textiles and electronics, wide-ranging applications for micro EDM services include fuel injection nozzles, miniature gas turbines, micro-compressors, optical devices and micro-tools. Micro EDM is a tooling method that uses electrical energy to erode materials at the micron level and thus produce very small holes and structures. Micro EDM services are highly-effective on hard materials and difficult surfaces and include micro wire EDM, micro sinker EDM and micro small hole EDM. With micro EDM technology being used in industries including aerospace, robotics, nuclear, medical, textiles and electronics, wide-ranging applications for micro EDM services include fuel injection nozzles, miniature gas turbines, micro-compressors, optical devices and micro-tools. The micro EDM process uses smaller electrodes with high rigidity and rotational speeds. It is used to machine parts from .1 to 1 mm in size; the size of these parts makes it impossible to form them through normal semiconductor processes. The process of micro electrical discharge machining can be used on any electrically conductive material, including silicon, tungsten and stainless steel. The actual micro EDM machining is accomplished through sparks, which are electrical discharges that can generate heat anywhere from eight to twenty thousand degrees. There is no contact between the electrode and the work piece (the material being processed), but rather a conductive gap that is established and maintained between the electrode and the material. Wires or electrodes, hollow cylindrical metal elements typically made of tungsten or metal graphite, are used to generate the series of sparks. Equipment required for micro EDM includes a pulse generator, to produce small pulses of input energy, and high precision systems such as CNC machines, CAD and CAM software that are used to guide, monitor and control the electrical discharge machining process. This process takes place in a bath of dielectric fluid, which prevents premature sparking and conducts electricity between the electrode and the work piece and then flushes out material debris from the gap. Micro EDM has advantages over conventional machining processes such as metal etching because it is accurate, cost-effective, clean, repeatable and flexible. 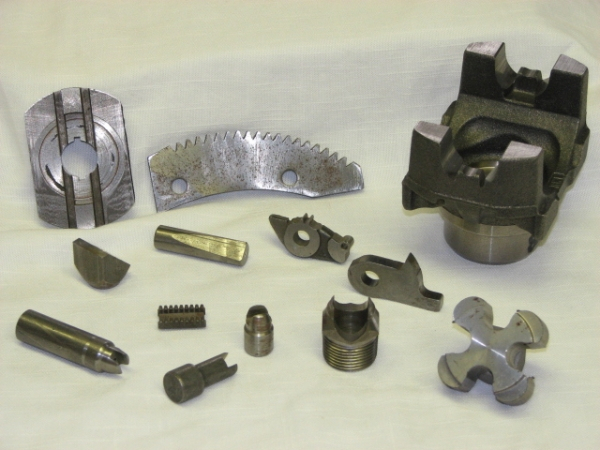 Some of the disadvantages to EDM machining include the slow rate of processing material removal. It is a highly effective process, but in order for the best results, EDM is undertaken slowly. Due to the nature of the electrical reaction, there is significant electrode wear, even on quality electrodes. Less precise electrodes can lower the accuracy of the final products and result in a less smooth finish which is one of the reasons for employing EDM. Lastly, power consumption is high and the process, especially for non-conductive materials is complicated and specific. However, there are many advantages which counterbalance these and therefore EDM is still a good manufacturing choice. Micro EDM Micro EDM is a tooling method that uses electrical energy to erode materials at the micron level and thus produce very small holes and structures. Micro EDM services are highly-effective on hard materials and difficult surfaces and include micro wire EDM, micro sinker EDM and micro small hole EDM.